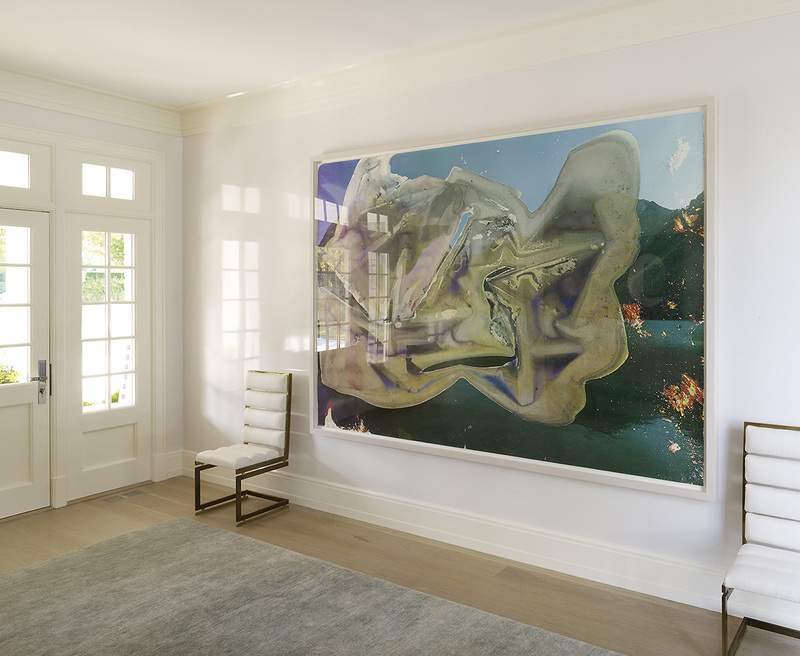 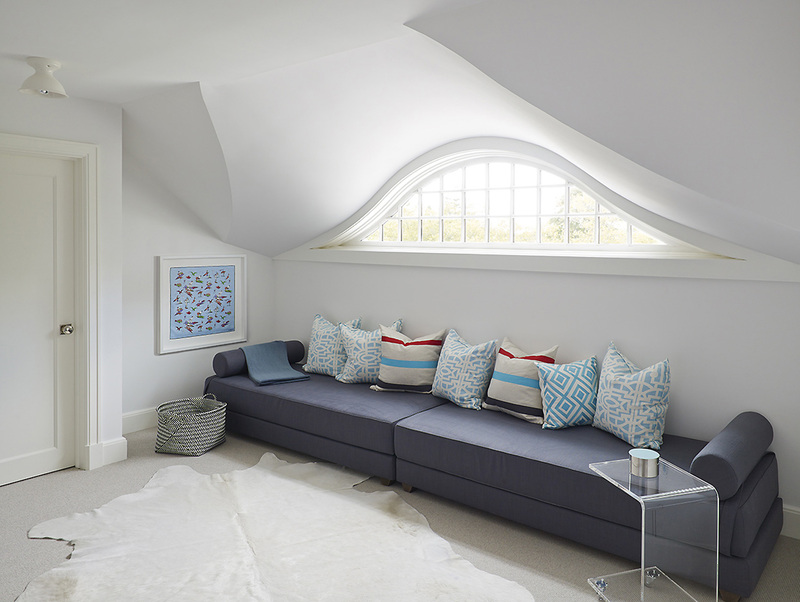 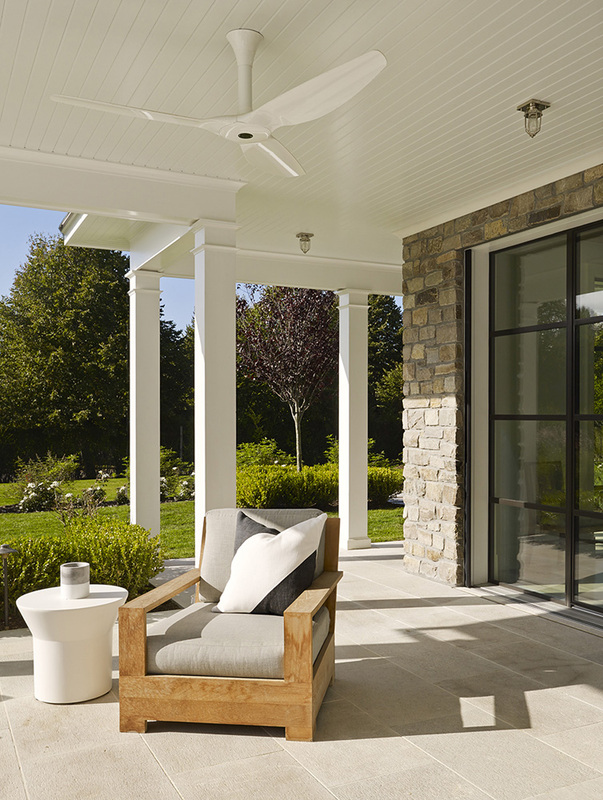 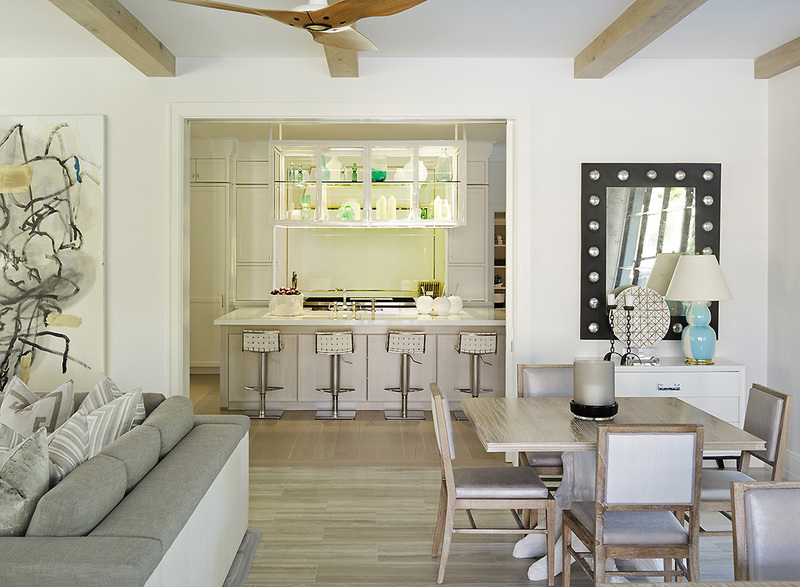 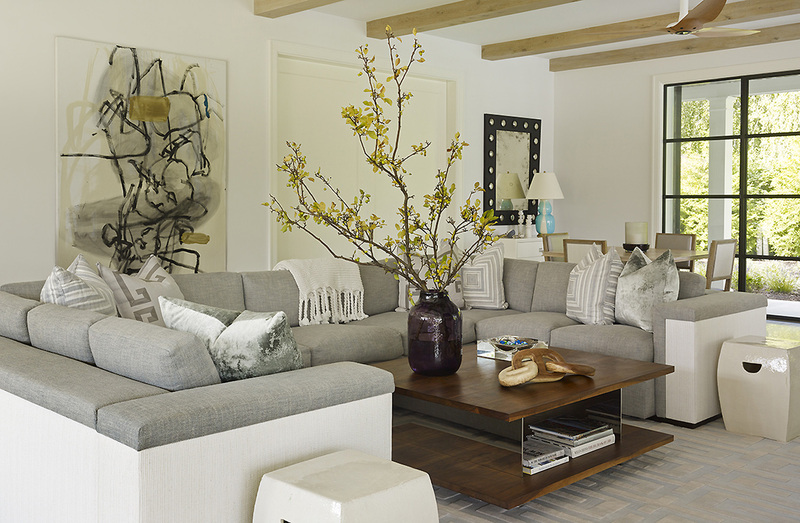 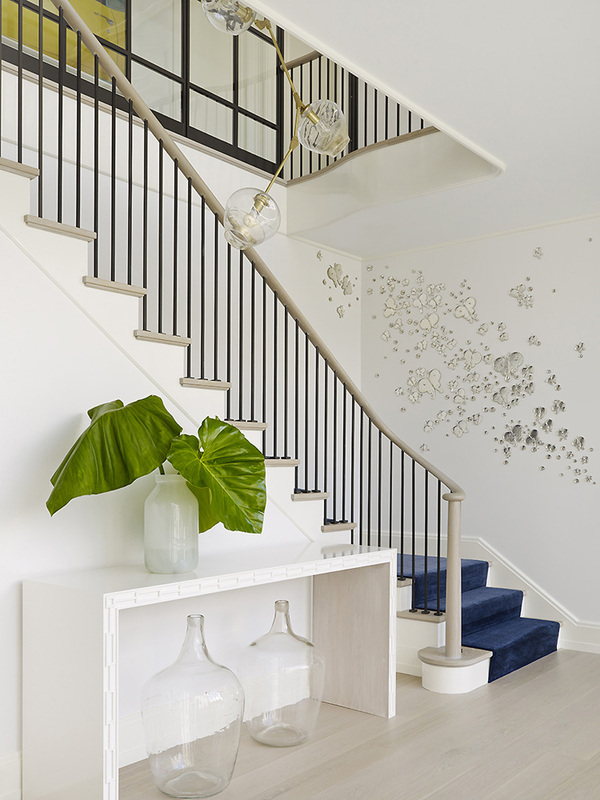 An interest in both traditional and modern design plus the wish to accommodate family and friends while maintaining separate master suite quarters drove the design of this Hamptons residence. 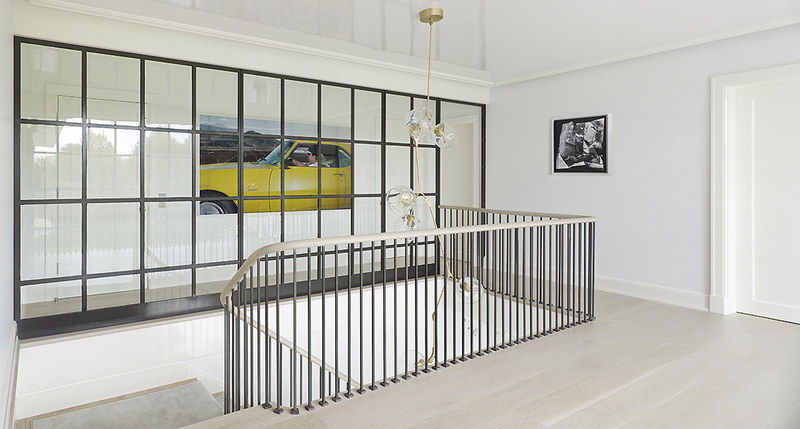 A contemporary wall of large leaded glass windows and center stair connect two distinct volumes, the master suite and family guest section. 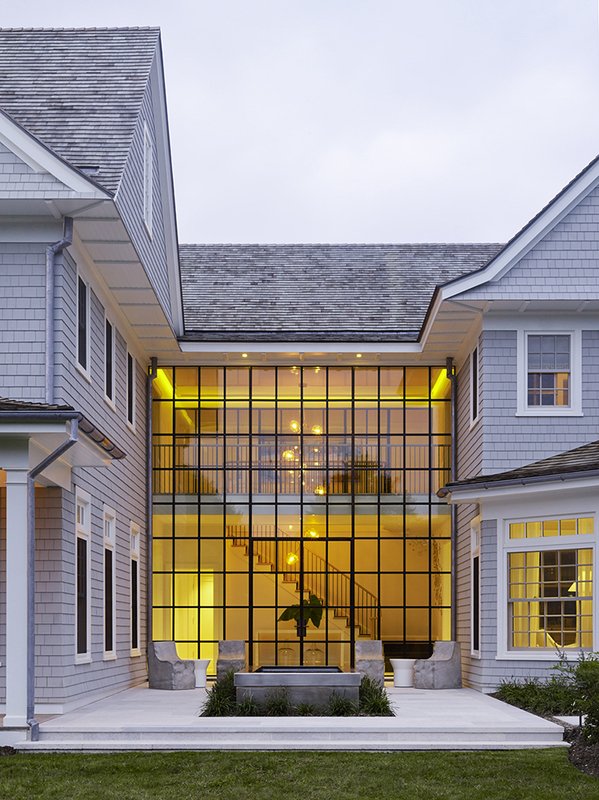 A clean trim system and large expansive windows are some of the elements that provide a modernist sensibility to this 11,000 square foot house that includes a pool house, pool, basketball and tennis court, all for outdoor enjoyment and relaxation.